The purpose of a PunchOut Catalog and a CIF Catalog are the same: to allow trading partners to share product catalogs electronically. The approach of the two are polar opposite. Both have their strengths and weaknesses, but in the modern business-to-business (B2B) environment, PunchOut catalog websites prevail. 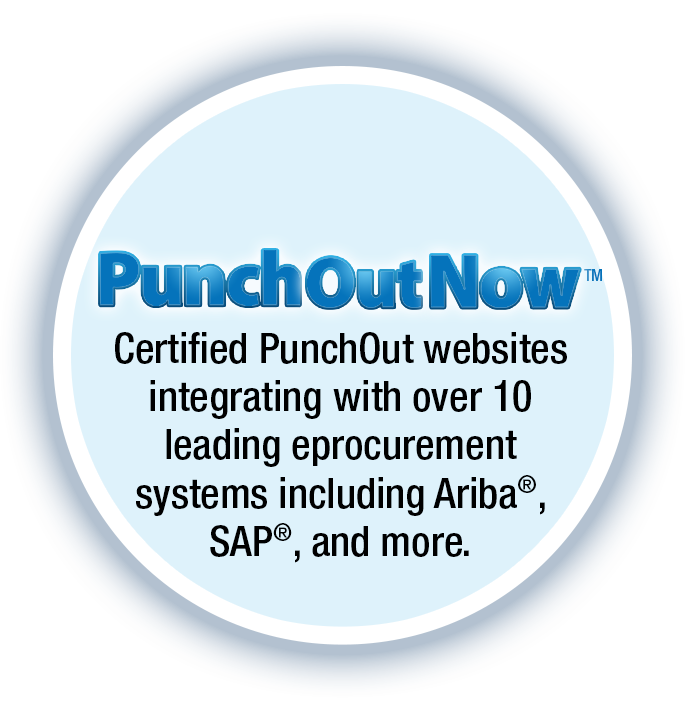 Used together in the form of a Level 2 PunchOut, the best of both form a powerful, integrated eprocurement solution. The CIF (Content Interchange Format) catalog is great for simple products or services that infrequently change or do not require configuration. If a supplier sells a widget or performs a service that stays the same for a long period of time, a CIF file is the best way to communicate catalogs. If the catalog is relatively small, say under 1000 items, the CIF file is relative small, easy to manage, and communicate electronically. If, on the other hand, the catalog is large, changes more than once a year, or contains items that require configuration, the limitations of the format becomes problematic. In this global economy with nimble suppliers, mass customization, and commodity pricing, a catalog of static information, fixed pricing, and the inability to tailor to market needs is restrictive and counter to eprocurement. Where a CIF catalog is static, a PunchOut website is a dynamic product and service catalog allowing for current information, product configuration, real-time price and availability. All necessary information can be represented with potentially infinite collateral information. PunchOut catalogs can be updated as often as necessary. Errors, which can easily exist, can be updated once and for all. PunchOut website allows a single master catalog to be leveraged over multiple platforms. Inventory, order confirmation, and shipping can be instantly communicated to the buyer. PunchOut websites leverage branding and marketing opportunities. PunchOut websites help educate, which translates into seller being a Trusted Advisor. PunchOut websites significantly reduce and many times eliminate communication and product configuration errors. PunchOut controls the catalog items and controls spend for the Procurement department. Upselling through PunchOut website increases average order amount. PunchOut websites increase control for both the buyer and seller alike. PunchOut websites free sales reps from configuration products and taking orders. Grow sales without growing staff -- huge for controlling costs. PunchOut website becomes brand enforcer for customer. Some Suppliers and Buyers don't accept the trading relationship if a PunchOut website isn't used. Retail eCommerce coupled with PunchOut website important for SEO to drive sales.